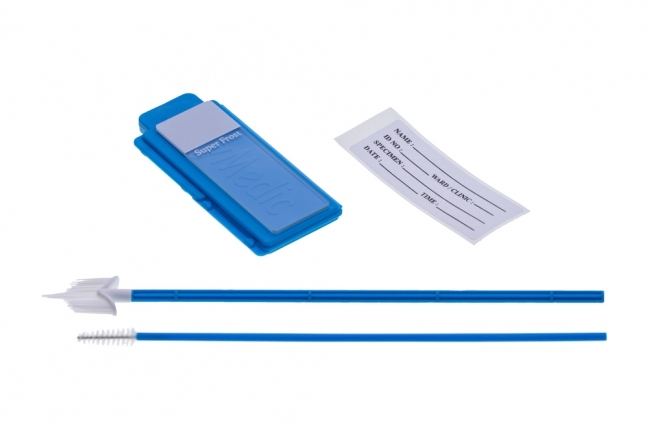 Pap Smear Kit is an efficient way of cervical smear collection. It consist of Plastic Glass Slide Holder, Cytobrush, Cervical Brush and Patient Indicate Label. The brush are designed to improve cellular yield and not cause any undue trauma to cervix. The Plastic Glass Slide Holder with a snap-close lid to keep slides secure during transportation. 4 Box (200sets) per carton.